Points Galore As Crispa Wallops Toyota, 172-142 | Servinio's Sports Etc. What if I was already into the business of sports in 1979? Of course, I was still a kid at that time and whose only understanding of basketball was limited to waiting for the players to shoot the ball into the goal. 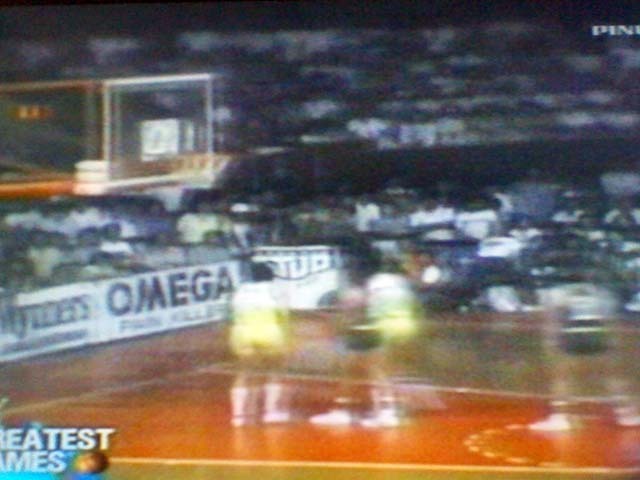 Recently, local cable channel Pinoy Extreme began to air replays of classic PBA games, including this one featuring the greatest rivalry in the pro league’s history. This could have been my take on the game played June 21, 1979. QUEZON CITY – The Crispa Redmanizers formalized their entry into the championship series of the 1979 Philippine Basketball Association (PBA) All-Filipino Conference by crushing bitter archrival Toyota Tamaraws, 172-142, at the Araneta Coliseum Thursday evening (June 21). While the final score indicated a runaway victory for the Baby Dalupan-mentored Redmanizers, the game was highlighted by the scoring battle between Crispa’s Atoy Co and Toyota’s Abe King. Co, a leading contender for the season’s Most Valuable Player award, set the tone early by scattering 22 points in the opening quarter. With Estoy Estrada sizzling early, the Tamaraws rushed to a 10-8 lead. Crispa guard Edmundo Espinosa then tied the count for the last time and Co punctured the hoop to give Crispa the lead for good, 12-10. Fil Gulfin added two baskets before Co fired Crispa’s last 12 markers en route to taking the first period, 38-29. The Tamaraws of Coach Fort Acuna entered the game with only eight active players as superstars Ramon Fernandez and Francis Arnaiz nursed nagging injuries. The manpower shortage tolled heavily on Toyota’s cause in the second period as the rest of the Crispa roster began to click to stretch their advantage by the halftime break, 80-56. King, the bull-strong forward out of San Beda College, tried to keep Toyota within striking distance in the third canto. Co continued his scoring rampage with eight quick points at the early stages of the third then proceeded to involve his teammates through his playmaking. The Crispa lead though remained imposing entering the final 12 minutes, 120-98. Suddenly, the usually intense play whenever both rivals meet turned into a free flowing display of scoring prowess. Co and King continued to try to outdo each other with their teammates willing to set them up. Co finished with 50 points on top of five rebounds and six assists. Philip Cezar followed with 22 points, eight rebounds and seven assists. Overall, seven Redmanizers finished in twin digits. King paced the Tamaraws with 60 points and 17 rebounds. Emer Legaspi backed him up with 29 points. Both Toyota and Crispa will begin their best-of-five duel for the crown next Tuesday, their first since the 1976 Third Conference wherein Crispa prevailed to complete its sweep of all three trophies that season. CRISPA (172) – Co 50, Cezar 22, Fabiosa 21, Adornado 21, Hubalde 18, Guidaben 16, Gulfin 10, Espinosa 6, Dionisio 4, dela Cruz 2, J. Javier 2. 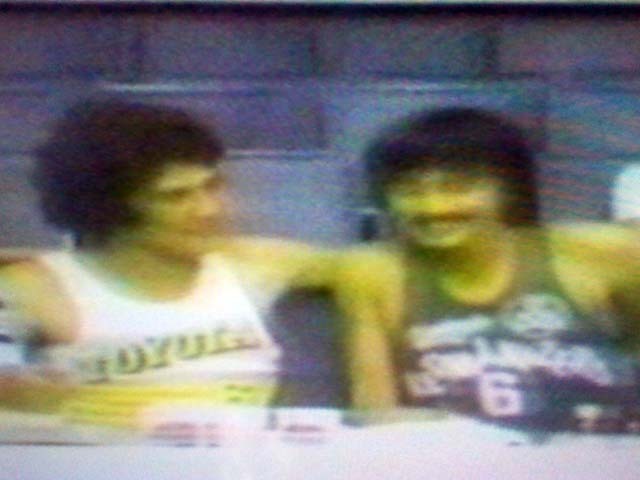 TOYOTA (142) – King 60, Legaspi 29, P. Javier 16, Salazar 13, Bulaong 9, Estrada 8, Jaworski 5, Tuadles 2. Quarter Scores: 38-29, 80-56, 120-98, 172-142. I wish I was able to watch the game. I am Atoy’s wife and we really don’t have a copy of those games. We’re not on Destiny cable either and so we weren’t able to catch the telecast last Sunday. Lucky for you. Loved your blog. More power. On the date that game was played, Atoy and I weren’t married yet although we were already a couple. He must’ve been inspired – what do you think? haha! sana huwag naman kayo selfish. maraming kababayan natin ang nag hahangat na makapanood ng dating game ng crispa vs toyota, sana mapag bigyan man lang sila.sana magkaroon ng dvd. salamat ng marami. saan po kaya makakabili ng mga DVD sa mga laro ng CRISPA at TOYOTA…fanatic crispa redmanizer.